PORTSLADE Cricket Club captain Paul Glover starred with the ball as his side picked up their first league win of the season on Saturday. Portslade, who were promoted as runners-up from Division 4 last season, had drawn their opening three league games and Saturday’s win leaves them sixth in the table. At the halfway stage, it looked as though Portslade could fall to their first defeat of the season after they were bowled out for just 119. However, a fine bowling display from Glover saw him take six for 21 as Chichester were all out for just 89. Portslade skipper Glover praised his side’s resilience and said: “It was great to get that first win in this league. “We have shown real character in the opening few weeks to pick up draws, when we could have lost. “This was another one of those, after we were bowled out for 119. We knew it was not going to be easy to defend but we managed to. After losing the toss, Portslade struggled with the bat. David Wainwright (three), Tom Mooney (five), Dan Holgate (five) and Paul Glover (19) all fell as Portslade were reduced to 29 for four. Wickets continued to fall at regular intervals and Portslade were 84 for nine, before Mark Gravett and Nick Clark put on 35 for the final wicket. 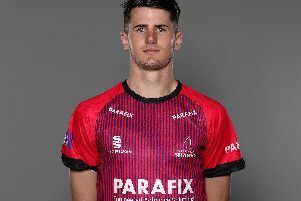 Gravett made 32 not out from 43 balls at number ten and Clark struck nine off 32 deliveries as Portslade were all out for 119 in 47.5 overs. Daniel Weigl took seven for 39 for Chichester. Portslade made a superb start with the ball and reduced Chichester to 31 for five. John Edwards top-scored with 25 not out for Chichester but his side were all out for 89 in 31 overs. Glover was the star man for Portslade and picked up six for 21 from 13 overs, while Andrew Mamoany claimed two for 17 from four overs. Glover is the leading wicket-taker in the division with 19. Portslade host table-toppers Bognor Regis on Saturday.